In August, I started getting hives. This is not new for me, I’ve had hives before. I have lots of allergies. Usually, I wash them with mild soap, put some cream on them, and they go away. Not this time. For 2 weeks, they drove me nuts! I tried everything. Antihistimines, benadryl, soothing creams hubby got at the pharmacy, you name it. Nothing worked. 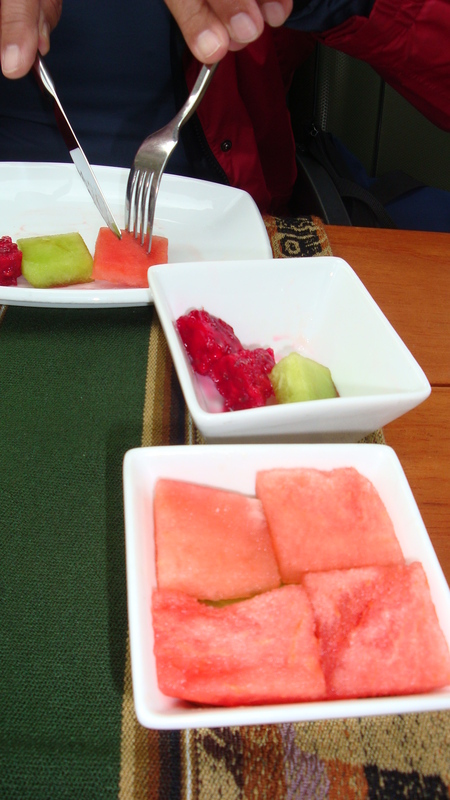 I tried limiting my diet, washing my hands a lot; I thought maybe it was those flowers I touched, so I avoided flowers. Nothing. Finally, on a Saturday, I woke up to the hives on my face, my cheek, my neck, my forehead. Yikes! The ones on my arms and legs, because I itched them when I shouldn’t, had become very red, and I figured might even scar. I did NOT want a scar on my face. No. We have insurance here. I called every number on the little card they gave us, none of them went through. Some said they were the wrong number, others just rang and rang. Bother. So I hauled myself into a taxi and directed him to the one hospital that I was familiar with, Santa Ines. Supposed to be the best. OK. I entered the emergency area, and the nice nurse brought me immediately into a cordoned off area with a bed, and said wait. A GORGEOUS young intern or doctor (I can’t even remember his name) asked me lots of questions. When did it start, where did it itch, what had I taken, etc. Did I have any other medical issues, etc. Then he asked if I wanted a specialist to come look? Of course!! The specialist came, asked the same questions, and prescribed a shot of benadryl, Allegra!! and a special cream. I was given a slip to take to the cashier, I paid $61.00 and came back to the ER for my RX script. I told them I had insurance and they said, come back Monday for your forms. OK. I went home, hubby went to the Farmacia for my drugs and I took and used everything. By the way, I love that cream. It worked wonders. 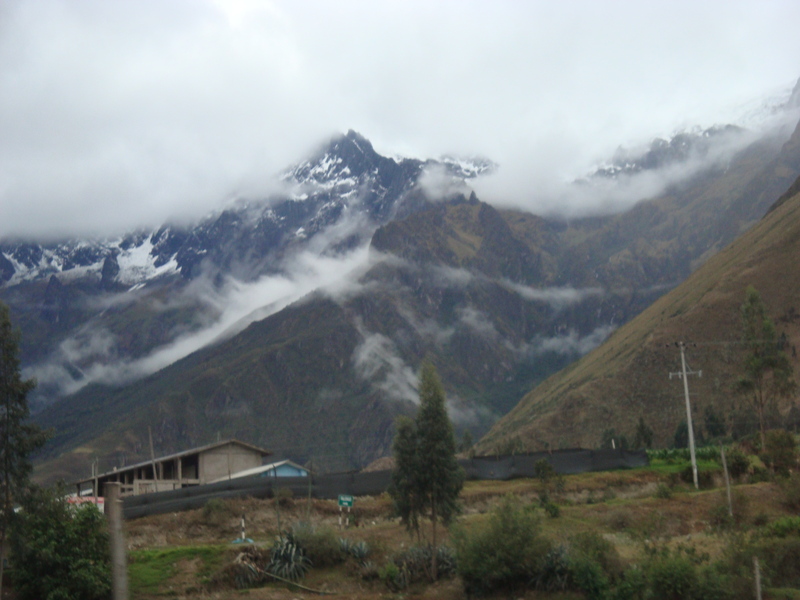 We came back on Tuesday, asked in about 3 different places for the appropriate forms, they gave us some forms, and then we took them to Banco Pichincha to file with the insurance department. The insurance lady said, this won’t work. You need a different form, and they must be signed and stamped. OK. We went back to the hospital, asked for the forms to be actually SIGNED by the doctor, they ran around, got the doc to sign, and we went back to the bank with the forms. I think I am simplifying the whole process because it seems to me that hubby made at least 3 trips to the hospital and to the bank, each, to get the right forms. Next I got an email from Confiamed that a check in the amount of $18 was ready for me. $18? Hmmm. When we went to pick up the check, they told us that to get the entire reimbursement, I need an ‘affidavit of emergency room service”. If I can obtain that, bring it back, they will pay an additional $20. Deductible and Coinsurance makes up the rest. So we went back to Santa Ines. Asked for the form. The ER tech says, you are not in the system, you aren’t showing that you were ever here. What? I went to the cashier, since I KNOW I paid them. She looked me up, then took us across the hall to another ‘customer service’ desk. We told her the situation, and she looked me up, found me, and then telephoned the ER to say that someone input my last name incorrectly, that she had corrected it and told him where to find it. We returned to the ER, and he said, the form has not been produced yet, we’re busy, come back later today or tomorrow morning. OK. The next morning, I returned to the same guy, and he still can’t find it! He telephoned the lady, apparently she told him where, and he hung up and started typing. I asked, still can’t find it? No, he found it, but, the form hadn’t yet been ‘done’. I stood at his desk and waited. He asked me a few questions and then he took off to get the printed form. Yay! I’ve got the form. Now, we’ll have to take it back to the bank to submit. Whew. It’s a crazy process even in the United States. I guess insurance companies are the same everywhere. Maybe there’s another solution to this Ecuadorian health insurance process. If you are young enough, anyway. This month, October, I turn 60. Earlier this week, I went to the IESS (Ecuadorian Social Security) to register for the Ecuadorian Health insurance, covered by the government. If you are not an employee, but under age 60, you may register and pay for this complete health insurance for life. 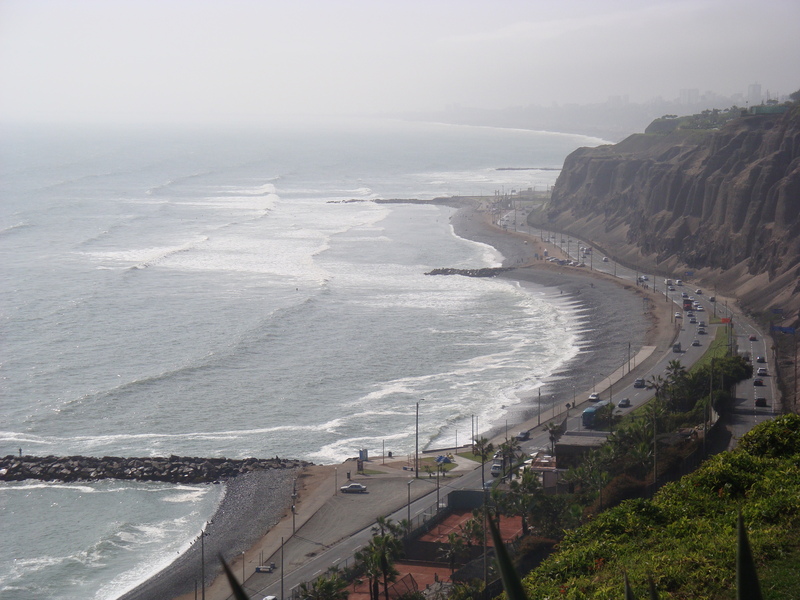 If we just kept our Confiamed, once we turn 70, it will be either horrendously expensive or we will need to sign up for another, also expensive, insurance for ‘older’ people in Ecuador. Since I am still a young thing, I decided to try the IESS process. See what happens, maybe I’ll get accepted. I was instructed to go to the online website of IESS and sign up for the ‘voluntary’ health insurance, using my Cedula number. I could never get past ‘processing’. So, hubby and I trudged down to the IESS office in El Centro, got a number, and waited. And waited. The number paper said the wait would be 16 minutes. Hmmm. We waited for an hour and a half until finally, the security guard called my number. Using one of their computers, he went to the very same site I had visited unsuccessfully to register myself. He tried about 15 times to get into the system with my cedula number, until he finally got into the record of my cedula. Apparently, it wasn’t my number, or my computer. It’s their system. He said that happens all the time. It’s a busy system. The system printed out a record with 2 items: my ‘base’ salary ($330.00) and the cost for me to buy the insurance, if I am accepted, at $55.00 monthly. I protested to the guard, but I am not an employee! No matter, he said. Here’s what your cost will be. Next he printed out a letter for me, with my name and number, etc., and told me to take the letter to the IESS clinic and get a complete physical, blood and urine work (checking for HIV, Hep B, urea, creatine, glucose, etc), a chest x-ray, and a PAP smear (all of which is outlined in the letter). If all of those are good, then I’m in! The guard told me to go to the IESS dispensary, just around the corner off Borerro. I went, but they told me, no, they do NOT do any exams for ‘voluntary’ enrollees at that location. I must go to the IESS hospital, near the Monay mall, on the southeast side of town. OK. Can I make an appointment? No, I was told, you just show up and take a number. They will see you as they can, and it must be done within the next 15 days. P.S. the clinic opens at 7:30 a.m. I’m going tomorrow very early, hopefully, the taxi driver will know where to go, and hopefully it won’t take all day! Later Monday, while getting a pedicure, I was chatting with the salon owner. Not understanding it all, I asked if she knew about this. She said, oh yes, I need to do that. When I was an employee, I had that insurance, but now that I’m a business owner, I will need to sign up just like you. What did you do? how was the process? where do I go? Yikes! 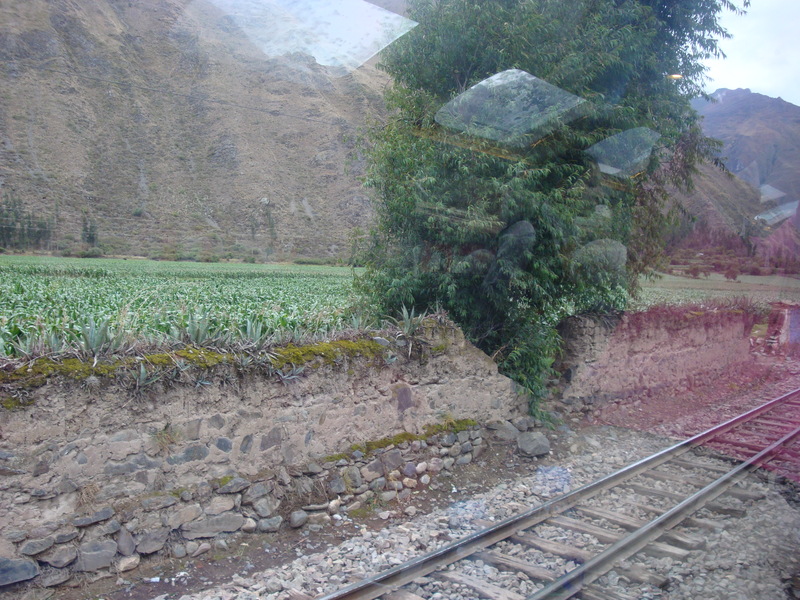 I’m here for 4 months and a native Cuencana is asking for my advice and directions? no wonder it seemed difficult to me to get through this process. I showed her the letter for her help me with what it said, maybe explain the details to me. Eureka! remember that ‘base salary’ that I mentioned? When I get the exam tests, I can only be charged no more than 20% of my ‘base salary’ for the tests. Which will be $66.00. Not bad for a complete physical! I figured that I haven’t had a complete physical for a few years, it’s not too bad a price to pay, and then I may even get this permanent full insurance for life (as long as I pay every month – I’ll have to figure out where/how it gets paid, next step) and there will be no claim forms to submit. On my next blog: registering our ’employee’: our once a week cleaning woman, and figuring out how to register and pay her social security taxes on the wages we pay her. It’s ALSO a complicated process. As usual, I’ve been lazy. I’m retired! 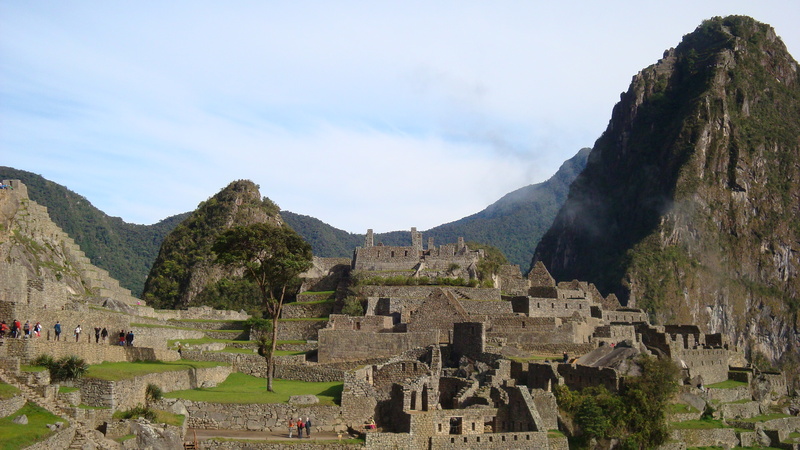 Furnishing the new condo, shopping, trying out new restaurants, taking new bus lines to get used to the city, visiting with friends — new ones and old ones, planning for our upcoming trip to Peru and Macchu Picchu….just a few of the things we’ve been up to. Once we got our permanent visas and cedulas in hand, I thought we’d relax. Hmmm. It seems every day is busier than the next. I’ve got books I want to read and I can’t find the time. Hubby has started teaching spinning classes at a gym close by; he enjoys working out at the gym up near Turi, Body Care, but the gym close to us needed his expertise. Monday through Thursday, 6 p.m. and sometime the 7 p.m. class, he’s the instructor. He’s now been able to use all that music that he spends hours downloading and mixing and sorting on his numerous music data holders. I’ve wanted to get involved with some of the dog clinics and pet rescue groups, but honestly, it makes me so sad! I want to save them all! I’d like to bring them all home with me! Only one dog per condo is allowed n our condo; hubby doesn’t want any. We’d have dog hairs all over our new couch; we’d have to drag ourselves out of bed at all hours and in all types of weather. OK. Maybe later? or maybe someone will want me to take care of their lovely pooch while on vacation? Bring them on, he’ll fall in love with them, and I will too. I’m enjoying learning how to cook and bake at 8300 feet above sea level and with a gas oven that, try as I might, never gets hotter than about 375 Fahrenheit. A lovely friend here in Cuenca loaned me an oven thermometer which clearly showed, even though the dial says “280” celsius, the oven thermometer never registers any higher than 375F. I placed bricks in the bottom of the oven, a shelf way up high with bricks on that shelf, and baking has gotten better. The bricks help to retain the heat, but I think I need more bricks. I need to start searching the trash around the many construction sites near our building. Each time I learn a bit more; each time, I get a better result. 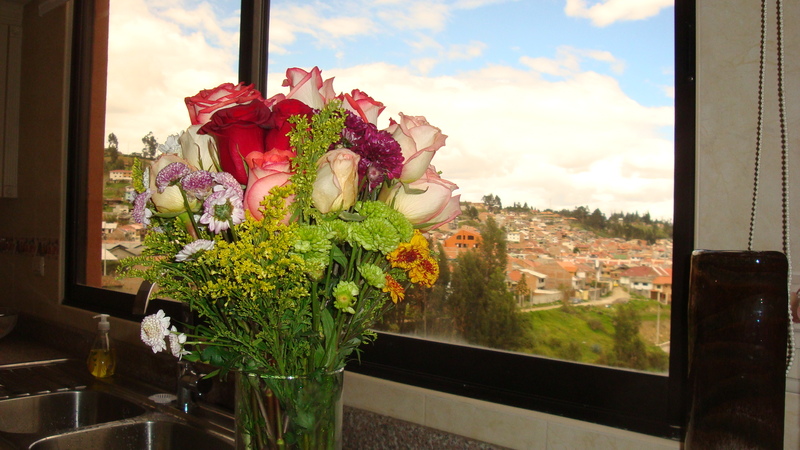 No matter the result, I love the way beautiful roses always look good in my kitchen and I love looking out the window at my gorgeous view of Cuenca. Still searching for one or 2 pieces of furniture to complete the ‘decorating’ and we need things to put on our bare walls. We found this lovely three piece wallhanging. I love the play of shadows on the little 3 dimension houses on the hill. 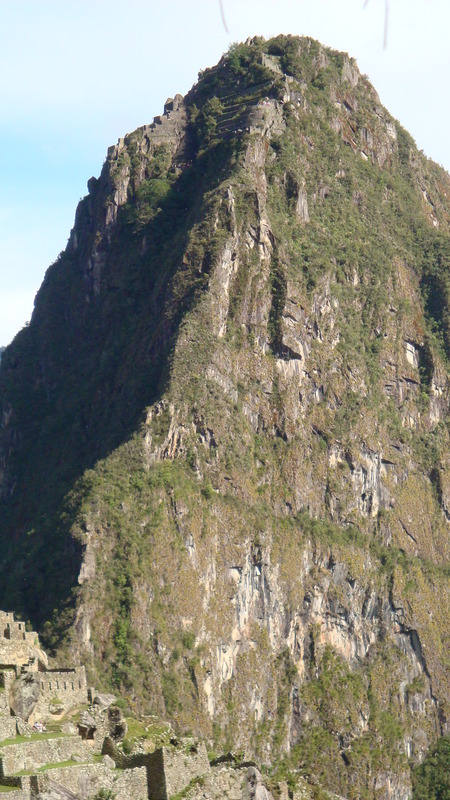 It reminds me of houses everywhere along the Andes hillsides. 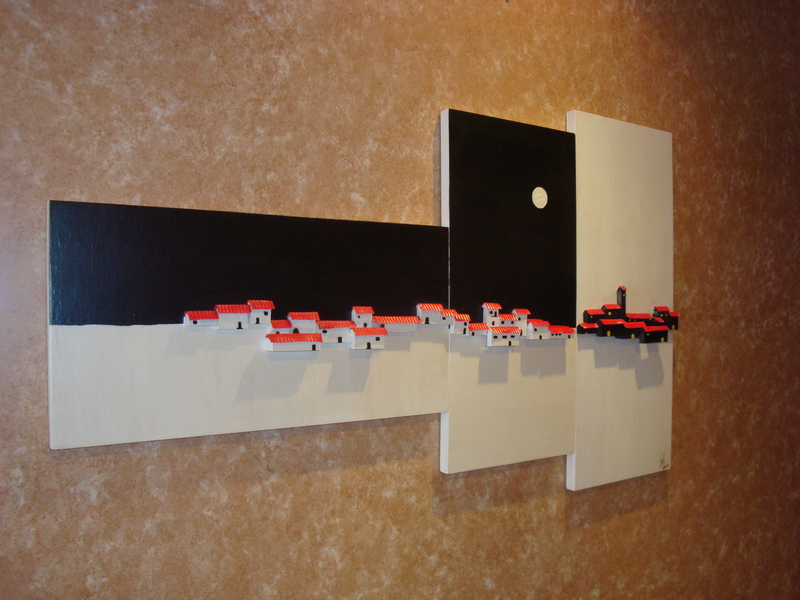 I keep looking for that special piece of art for my very long dining room wall, and am still looking for that special kitchen clock. I’ll find them soon. 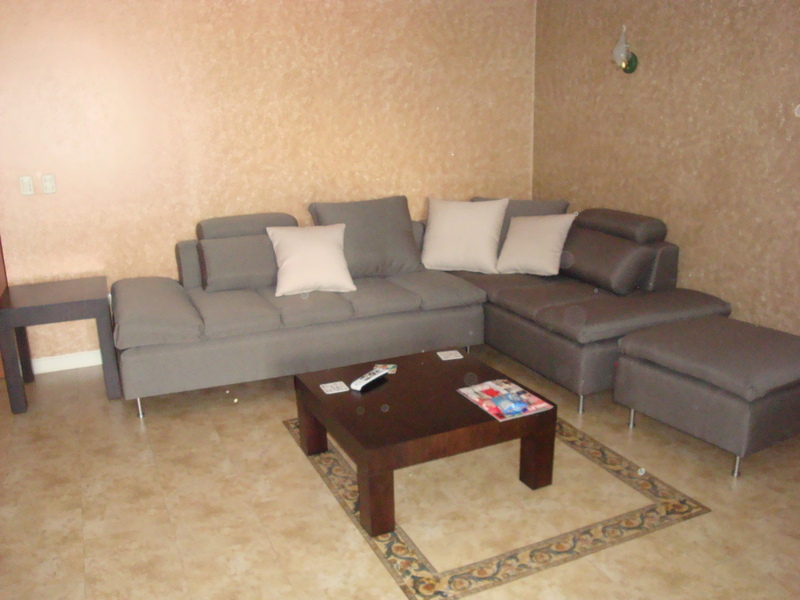 Cedula process – and the furniture arrived! For those of my readers still in the States who may not know, the Cedula in Ecuador is the form of identification for all residents in this country. Whenever you buy something at a store, whenever you use a credit card, whenever you take a tour bus or van ride, or airplane trip, you must show either your passport of cedula. 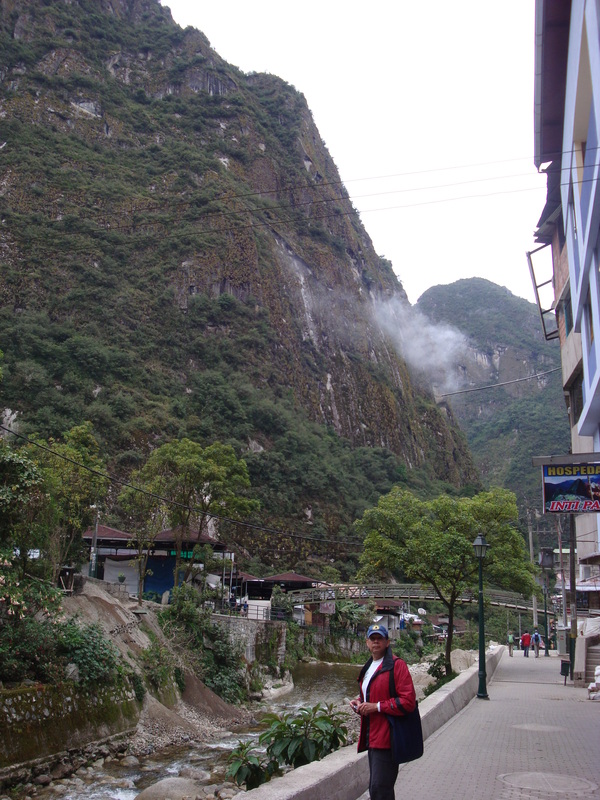 Driver’s licenses are not as common in Ecuador; many people use public transportation and don’t need one. 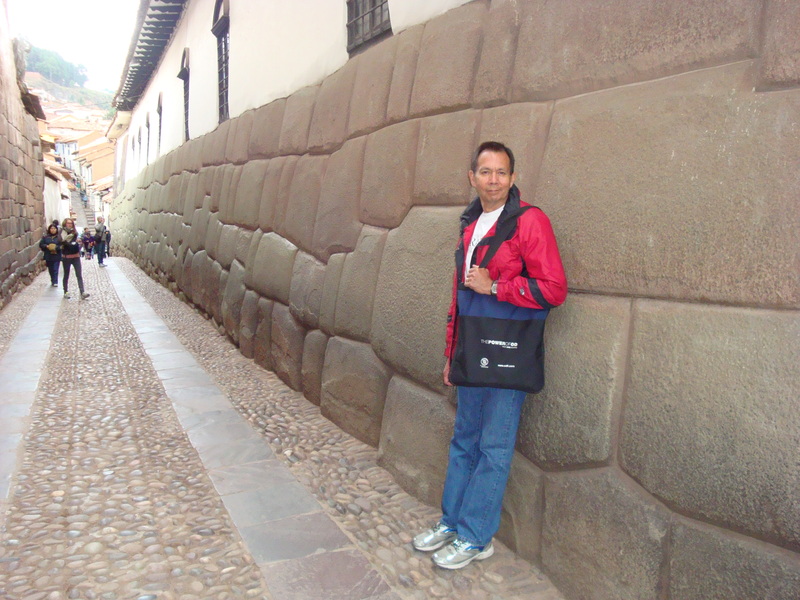 The cedula can also afford a few types of nice discounts, such as in country flights, tours, etc., as long as you also have an Ecuadorian credit or debit card from one of the banks here. In addition, if you are over 65, up to $300 of your VAT tax spent each month can be refunded to you. You must show your cedula to prove your age and receive a ‘factura’ of the charges you’ve paid, and submit these receipts to the IESS office in order to have the tax portion refunded, usually within 3 to 6 months. When we received our permanent visa page in our passports, we were sent to another office in the Ministerio, where we filled out a one page form of our name, occupation, address, parents’ names, spouse’s name, education type (initial or superior, meaning university degree) and signature. We were sent to make copies of this form, and further color copies of our passports along with the visa pages. She gave us little notes and sent us to the cashier, where we each paid $4.00 each. Another official form was produced, with 2 $2.00 stamps on them. This form included all the details from the filled out form as well as our passport and visa numbers. She told us to appear at the Registro Civil, aka the cedula office, in 6 business days. 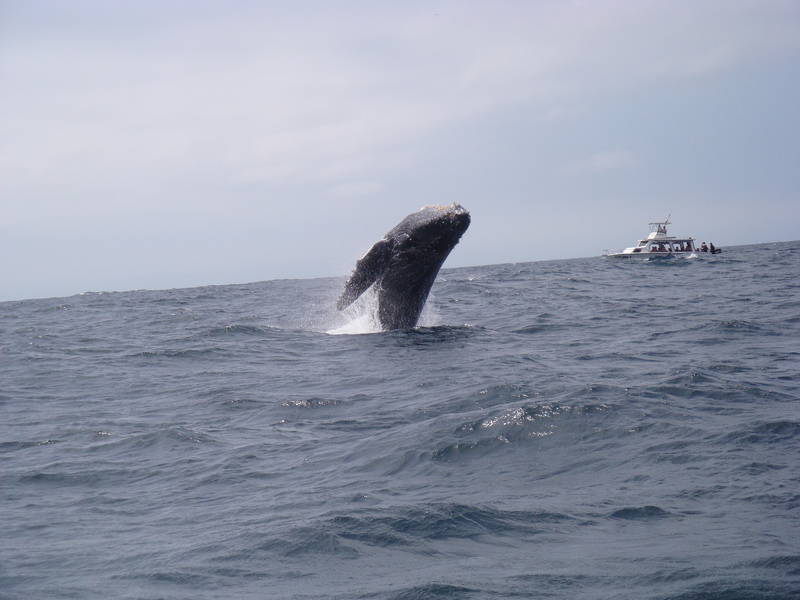 We left the next day for our fabulous whale watching trip on the coast, the subject of my last blog entry. On Wednesday this week, 6 days after obtaining our permanent Ecuadorian resident visas, we appeared at the cedula office. Lines of people snaked out of the office, and 2 uniformed guards at the entrance told us to wait in a short line to speak to the people at the information booth. The nice lady directed us to one young man at a desk with an official paper sign that read “Certificacion de Extranjeros”: meaning, he is the only one at this office who is tasked with certifying the paperwork for the first cedula for expatriates. Most people get their first cedula as a child. He was busy with another customer and kept running off to do something, coming back, speaking on the phone and generally being frustrated about something. A lady sitting next to him helped citizens with some other paperwork. She asked a supervisor to come relieve her for a few minutes, and this man, when he sat down, waved us forward to review our papers. This is where the problem arose. The form that we had filled out was, unfortunately, only the copy of the original that the lady at the Ministerio had retained for HER records. We had the official document that she had produced, using all the information which had come from this form, but no. He would not accept a copy. Only an original. When told the original had been kept at the Ministerio, he said, ok, go get this one notarized, which here means that you affirm that the information on the form is true and your own doing, signed by you and the notary. Either way, he said, this form must be notarized, the copy or the original. They love their notaries here, all official forms must always be notarized. We went off to a notary. No. They will NOT notarize a copy. Only an original. I suspected that since they were busy and they didn’t know us, they weren’t interested, and they could have notarized it, if they wanted. Off we went back to the Ministerio for expat visas. The lady was busy with an expat, but the guard, very unfriendly-like, refused to let us ask her a question. Wait your turn. She is with someone, and this other expat is next. Ok. Even though we knew the blank forms were under the printer next to her desk, and she could just give us 2 new ones to complete. We waited. At this point, I am remembering a few other times while we were at this office, waiting our turn: a flash of another guard, going into her office to speak to her, and the flash memory of her handing clean copies of this form to him which he then gave to an expat. An ahah! moment. This has happened before. One hand of the government process doesn’t know what the other hand is doing. When we finally got in to speak to her, explain the situation, she very nicely said, no problem – and handed us these precious forms for us to complete, again, with the same information, but with an original signature. Simple forms, with about 10 boxes to fill in, we could have gone home in the same amount of time spent and I could have reproduced it on my own laptop/printer. Oh well. Live and learn. Off to the notary. Notaria Primaria de Cuenca. Hubby had been here before, to get something notarized for the visa process, and we had noted that they were much less expensive than the notary upstairs, Notaria Segunda de Cuenca, where Cristabel had gotten the translations of our marriage license and letters of visa requests notarized. 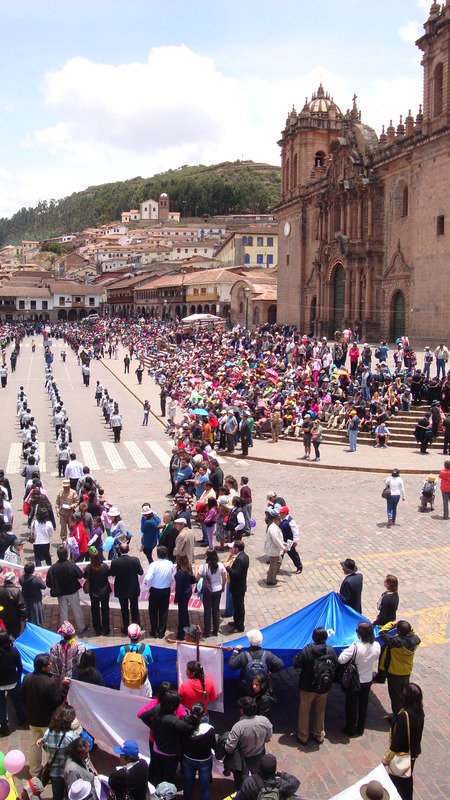 Cristabel had said that the Segunda was the most organized notary in Cuenca. Hmmm. The Primaria is cheaper, but we’ll see. We waited at the notary, a very busy place for a Wednesday morning. Finally, we edged up to a desk that seemed not occupied by a customer and requested notarized copies of this one form. She demurred, and said she had done this for an expat recently, and they required also a notarized color copy of the passport. We said, just the one form. She conferred with a colleague, and said, ok, black passport copies will suffice. OK. She began to write a letter for the notary process, of which we would need 2, one of each of us. This letter states the notary’s name, my name, my passport number, and attests to the information being true and correct and also that the signature of the notary and my signature were originals. This is a form letter, should be easy to do, but we had to correct her typing as she misspelled or confused our names on the letter numerous times. Finally, she got it right. Next she made copies of everything, 3 copies of each letter, passport copy, the infamous original signed form, and the document with the info typed on it from the written form, that infamous form. Here’s where the disorganization of this office became apparent. Five women and one man occupied desks in the main bullpen of the office; a large furnished office in the back, with a small step up, housed the ‘notary’, aka the Big Guy, he with the flourish of a signature. While she was trying to organize each of the 2 piles of 3 copies each on her desk, and stamp each page at least once or twice (and the blank back side with a stamp that attested to its being blank purposely), and then initialing some of the round stamps with a blue pen, it was obvious that this office had 2 issues: 1) they only had 1 blue pen in the office, and 2) there weren’t enough of these 4 different stamps for each of the 6 secretaries. As she would work on one set of copies, stamping and initialing, someone would come up and take her pen or a stamp or all of the stamps. Then when she needed it for the next set, she would have to go hunt for the pen or the stamps. While all this is happening, and we were sitting in front of her desk, customers kept coming up to her and asking for assistance. She would politely listen, tell them to sit and wait, or direct them to someone else. Once all was ready, she took our papers to the Big Guy. He sat us down while he was talking to 2 other clients in his office, finished with them, sent them back to someone and then sat down and asked if we both spoke Spanish. Yes. Next he asked us to affirm the information on the papers, and we said, yes. He quickly marked many of the paragraphs on all the pages with a short vertical line, and signed the letter with a very flowery signature. Sent us and our papers back to the secretary. She made more copies of everything, and then started the stamping and initialling process again. Each copy of everything had to be restamped and re-initialled, to be original signatures, I guess. She folded a light blue packet presentation paper around each set of the papers, with the letter first so that their name and mine would show through the cut out title page, and started to collate the forms into this packet, stapling the originals, stapling another copy set for us, and a 3rd copy set for their records. This process for each of us was continually interrupted again by people asking questions, people taking her blue pen and the stamps, and her trying to get them back. She finally finished one packet and put it in front of me. I looked through it and the letter was the one with my name, along with my passport copy, but with hubby’s filled out form. I pointed out this error, and she started the collating process again. At this point a customer asked her to help and, ready for lunch now, she rather snippily told him, no, I am occupied with these people in front of my desk. I cannot help you now. Finally she had them all completed, handed us the 2 notarized booklets of forms, left her copy set of papers on the keyboard of her desk, sent us to the cashier next to her desk and put on her coat to leave for lunch. Hubby asked, does the cashier know what to charge? Oh yes, she came back from the door to the cashier, and said something to her. Cashier asks, do they have their copies? Yes, she said, and left. 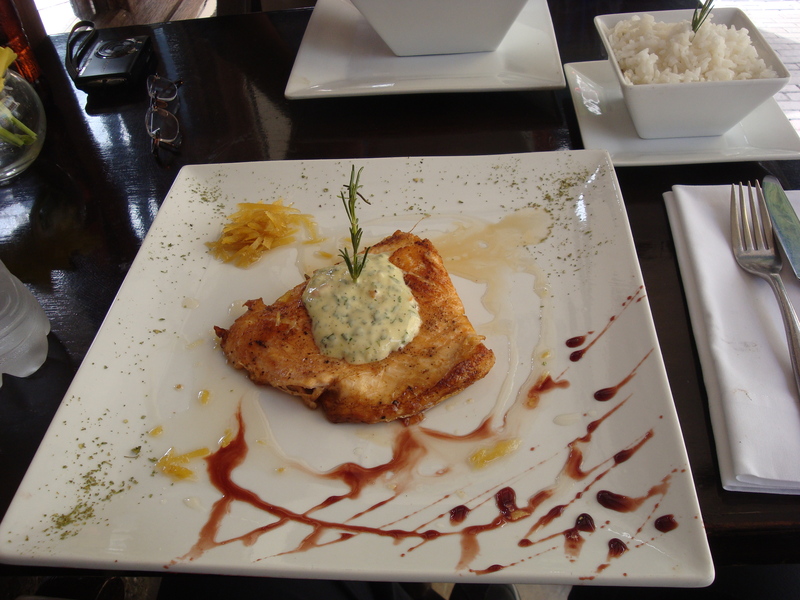 Lunch time is sacred in Ecuador, and even though the big pretty sign on the wall with the notary name of the business says ‘Open Monday through Friday, 8:00 am Until 6:30pm’ it was clear that everyone was going to lunch. The Big Guy had turned off his office light, closed the door, put on his suit jacket, and stuffed a red hanky into his left breast pocket. After instructing the ladies about something or other, he walked out of the office onto the street. No one was sitting in the waiting area now, nobody was crowding the cashier’s desk and only 1 other secretary was finishing up. They may be open, but I don’t think much was going to get done until after lunch. Tired, hungry for lunch ourselves, having missed breakfast, and not willing to go back to the cedula office again that day, we grabbed some chicken at Kentucky Fried across the street from the notary and grabbed a taxi for home. This whole process started at 9 am and it was now about 1:30. Next morning we presented ourselves at the Registro Civil with all our papers which we handed to the young man at the desk for certifying expatriate’s documents. Oops. Hubby forgot his passport, and yes, you do need this for the whole process! No matter, the young man said, I will verify all for you and then you can go for your passport. He arranged the papers, checking online for our visas, printed out another copy of the official document that had all our info on it (and the 2 $2.00 stamps on it, guess it used to cost $2.00 for the initial cedula, it’s gone up and they haven’t bothered to buy new stamps as 2 imprints of the $2.00 stamp will do), handed us a slip of paper and directed us to the cashier. $5.00 each, and they gave us each a receipt with a number on it. Our numbers were 167 and 168. They were on about 110, there were 12 registrars, so hubby said, I’ll go get my passport while you wait. I waited along with about 100 other people, watching a TV show of funny video clips of people and birds, hoping he would not miss his number. Hubby returned when they were at about 163! We both waited a bit more until our numbers were called. We presented ourselves at the assigned desk to be fingerprinted and photographed and to sign our name on a card that was scanned into the system. The registrar asked me my favorite color, which will be my password in case I need to change the cedula in the future. He took the forms, thanked me, and told me to come back in 48 business hours, Monday after noonish, to receive my cedula. Since you don’t want to lose your original cedula, everybody here pays for a color copy of both sides of the cedula and then gets this new paper card laminated. That color laminated copy is what everybody carries around. It looks just like the original. What a country, eh? In Texas, I never thought about having my driver’s license copied, both sides, and then laminated, for carrying around in my purse, or for when I go to the gym without a purse. For for those who go to a bar or disco and again, don’t want to carry a purse with stuff but need identification, this is a great idea. If you always lose your driver’s license, this might just be a new trick to try. If you lose your ‘copy’, you’ve got your original at home! Ready to be copied, again! Monday we go back to the Registro Civil to get our cedulas. They are good for 10 years, after which you just renew the card, pay another $5 bucks, and get photographed and fingerprinted again for a new card. 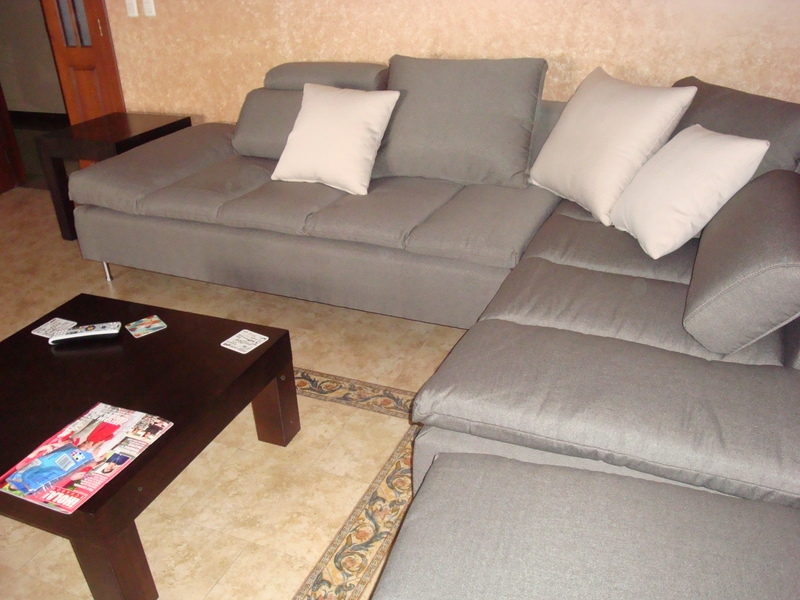 Here’s the couch (it’s much more comfy than the futon!) 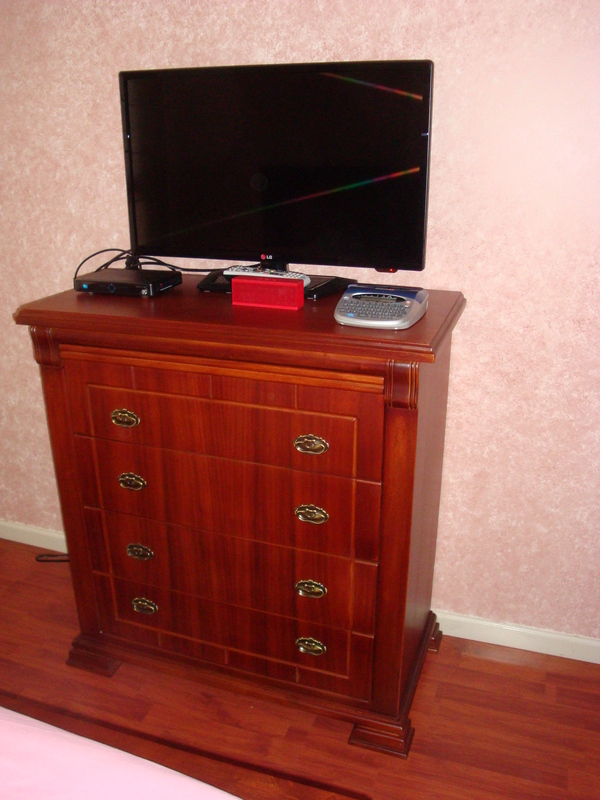 and the new dresser for the guest bedroom TV. We just returned from a fabulous trip to Puerto Lopez, aka the Poor Man’s Galapagos. 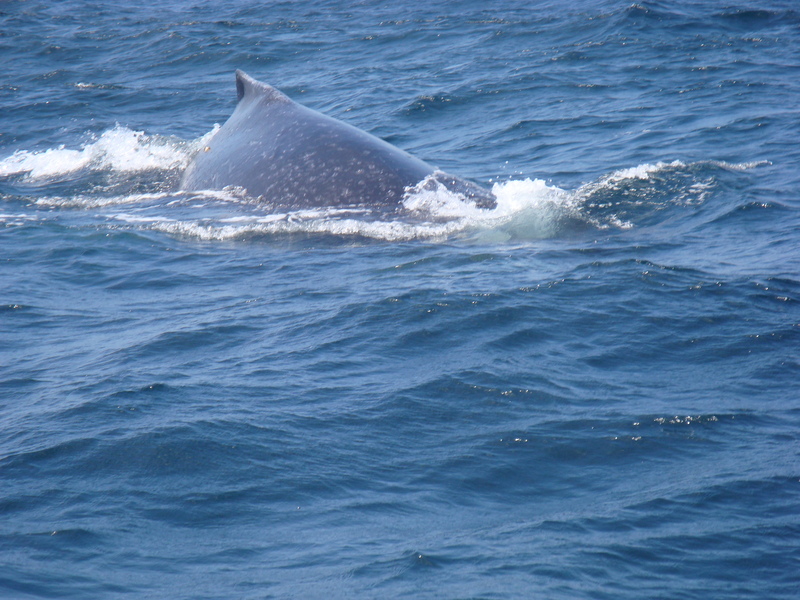 We went on an all day boat tour to Isla de la Plata where we saw whale after whale, and up close! I was expecting to see them way off in the distance, but the boat pilot got us very close and I managed to get a few nice pictures of the moment when they shot out of the water. It was a spectacular sight. 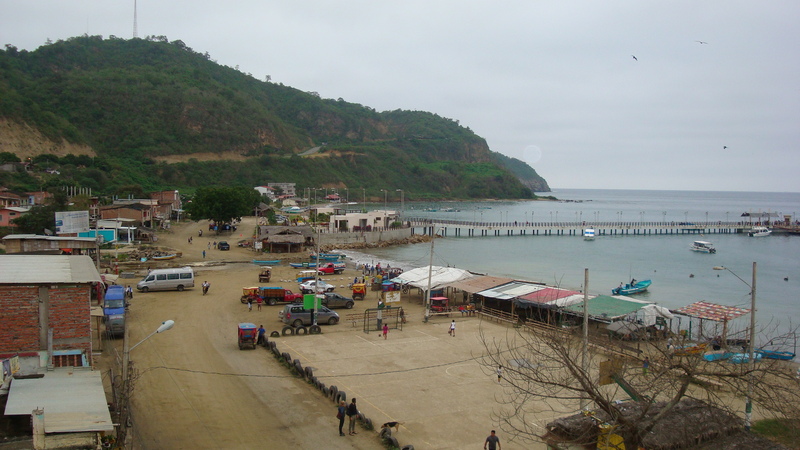 Puerto Lopez is a small fishing village nestled in a lovely cove. We stayed at the Humpback Hostel, right on the beach. The owners and chef were so lovely, patient and they catered to our every whim…which meant truly fresh fish every night and a cup of tea in my room every night. 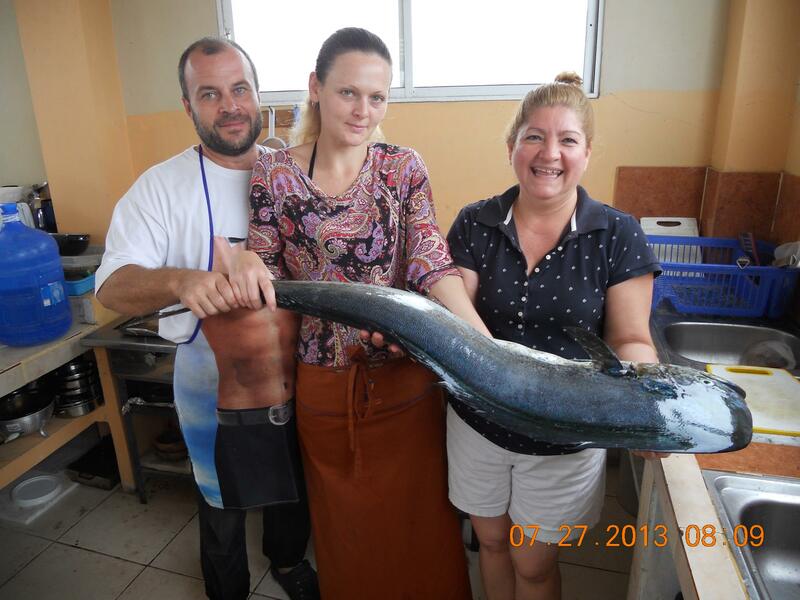 Here’s a pic of the chef Jorge (short for Yuriy), his wife, Olga, and Vicenta, the hostel owner, holding the huge mahi mahi that we had for dinner our last night there.